Do you find yourself slouching at your desk in the middle of the day? Like the boost that coffee gives you but can’t stand the jitteriness, sleeplessness, or anxiety? Here are five supplements available at most drug stores that will give you a gentle and healthy lift of energy to help get you through your day without the crash or headaches of caffeine. The vitamin B family is perhaps the most celebrated of the alphabet vitamins for improving energy and overall wellness. B vitamins have been shown to increase the metabolism, boost mood, enhance immune system functions, and encourage the production of red blood cells, which are vital to all physical activity. Vitamin B3, or Niacin, and B 12 are common in ingredients in energy cocktails such as Red Bull and Five Hour Energy. If you’re interested in a B vitamin complex, look for ones including the most beneficial eight: thiamine (B1), riboflavin (B2), niacin (B3), pyridoxine (B6), folic acid (B9), cyanocobalamin (B12), pantothenic acid, and biotin. Vitamin D is a vital substance that helps positively balance your mood, immune system, blood pressure rate, and calcium absorption. When light hits bare skin on your body, it stimulates a process that turns cholesterol into vitamin D3. You only need fifteen minutes of exposure a day to get your daily dosage, but recent studies have shown that most people don’t get enough. Seasonal affective disorder, or SAD, usually affects people in the winter time, when they aren’t getting much D3 from sunlight. SAD is linked to increased sleepiness, low energy, social withdrawal, and general unhappiness. It is recommended that people get between 200-1000 UI of vitamin D daily, depending your on a person’s weight, age, and location. So if wintertime rolls around and you start feeling crumby, consider picking up D3 supplements or eat foods filled with vitamin-D filled fatty acids like fish or eggs. The Asian Panax ginseng root has been used for hundreds of years to aid wakefulness and ease physical exertion. It is traditionally brewed as a tea, usually mixed with other Asian herbs, but people can now take ginseng in gel caps consisting of the dried, ground-down root. 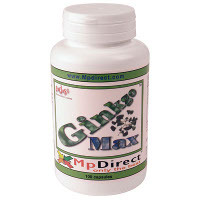 The active ingredient is ginsenosides, and it is recommended that people look for 200 mg supplements advertising 3-7% ginsenosides. Studies on Panax ginseng have shown benefits to athletes and people with high cholesterol, diabetes, and even cancer patients, most notably to regarding the amount of exhaustion patients after chemo-therapy treatments. Rhodiola rosea or Golden Root is an herb a traditionally used in places like Russia and Scandinavia, to help weather the stresses of harsh winters. Rhodiola rosea is believed to help balance the serotonin and dopamine levels in the brain, and is often recommended to people with long hours and high-stress jobs, like air traffic controllers. Studies have shown that Rhodiola rosea improves focus, aids immune system functions, and can mediate the effects of mild anxiety and depression. The active ingredients are rosavins and salidrosides, usually standardized at a standardized rate of 3% rosavins to 1%, and taken either in capsule form or tincture. This beneficial herb comes from the unique Maidenhair Tree found primarily in China, and has been reportedly used in Chinese medicine for over a million years. Rather than a delivering a boost of energy to your muscles, Ginkgo biloba affects your mind, improving memory, cognition, and problem solving. It is believed that Ginkgo biloba improves blood flow to the brain; because of this, it has shown some usefulness in mediating the effects of such diseases as Alzheimer’s, Parkinson’s, multiple sclerosis, and mild depression. Traditionally brewed as a tea (sometimes with Panax ginseng), you can also buy it in a dried capsule form. The recommended daily dosage is around 120 mg. Looking for other ways to keep your energy up and your body healthy? Contact our Signature Forum representatives to schedule a free tour of our many elite health clubs located across the country.